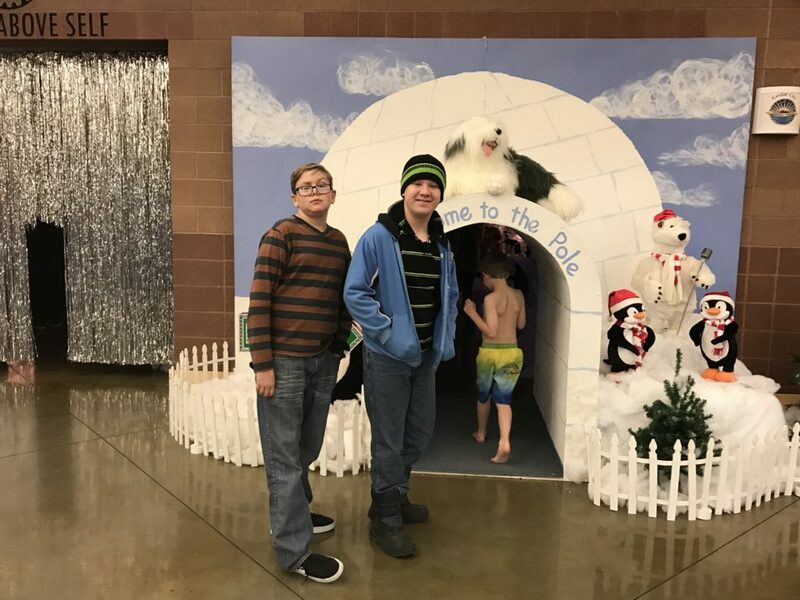 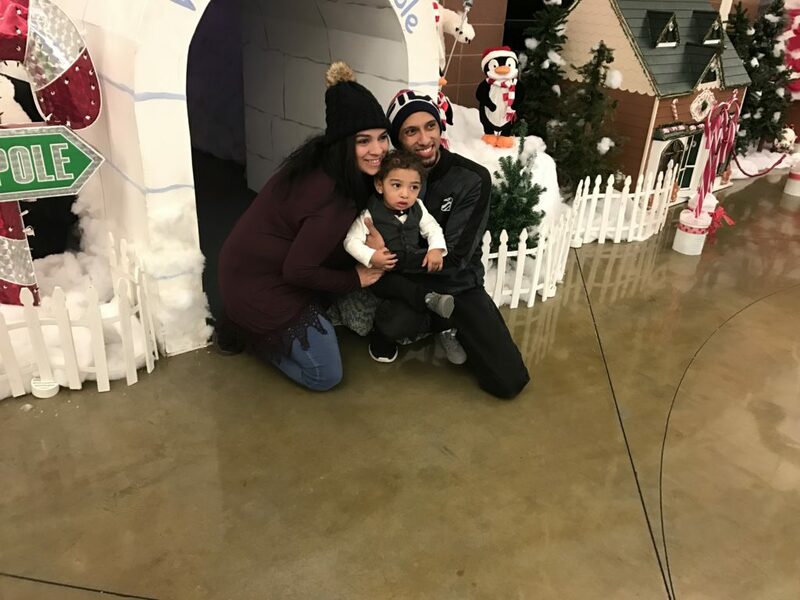 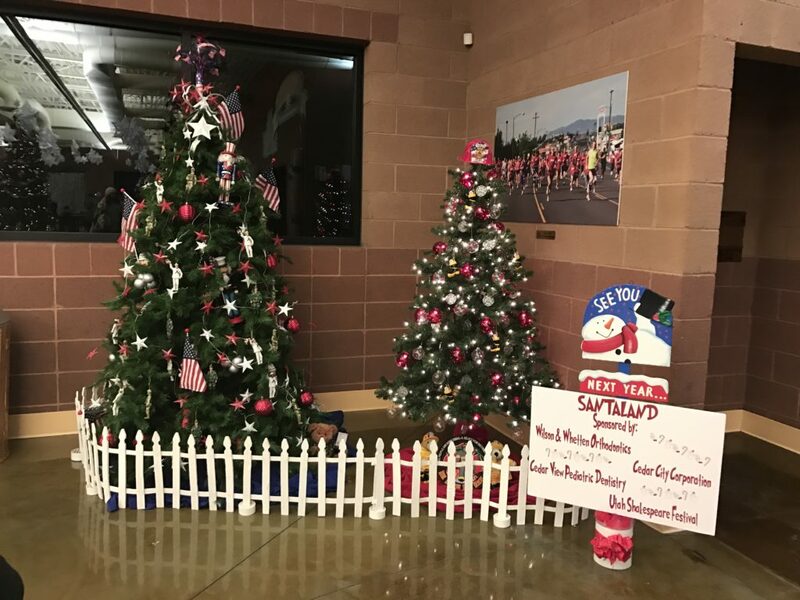 CEDAR CITY – Christmas came alive Friday night as the Cedar City Aquatic Center was transformed into a magical reproduction of the North Pole made just in time for a visit from Santa Claus. 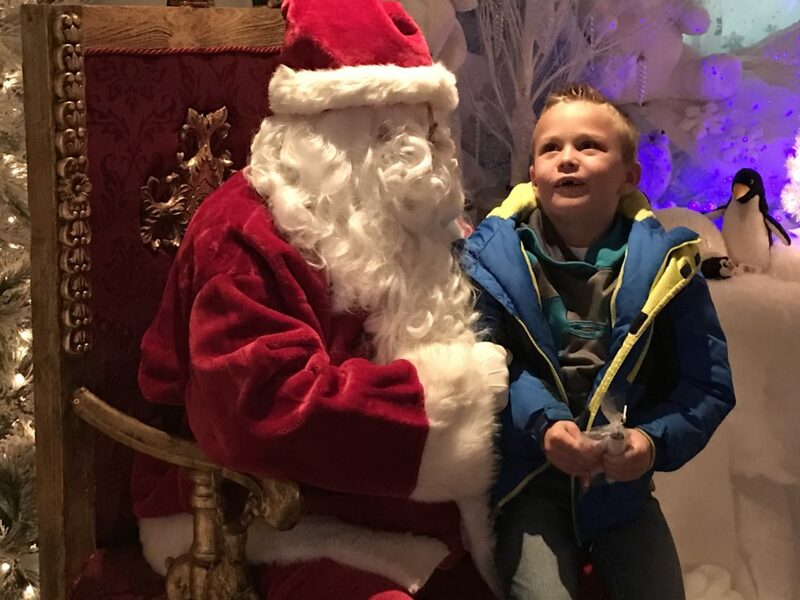 This Santa however, flew in not from the top of the world but from Southern California exchanging his shorts and warm temperatures for the freezing 20-degree weather endured in Iron County this time of year. 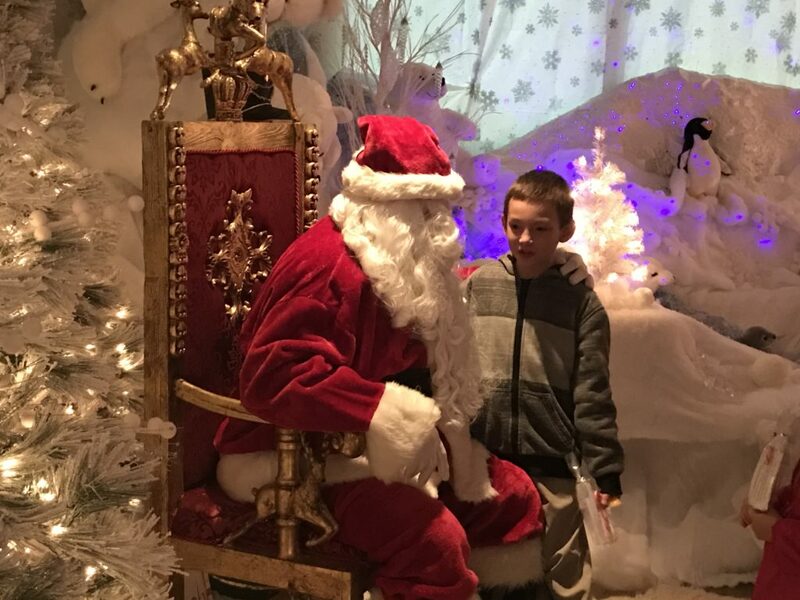 Justin Vierela’s grandfather plays Santa every year throughout San Diego, California, but this time he came to Cedar City excited to bring some Christmas joy. 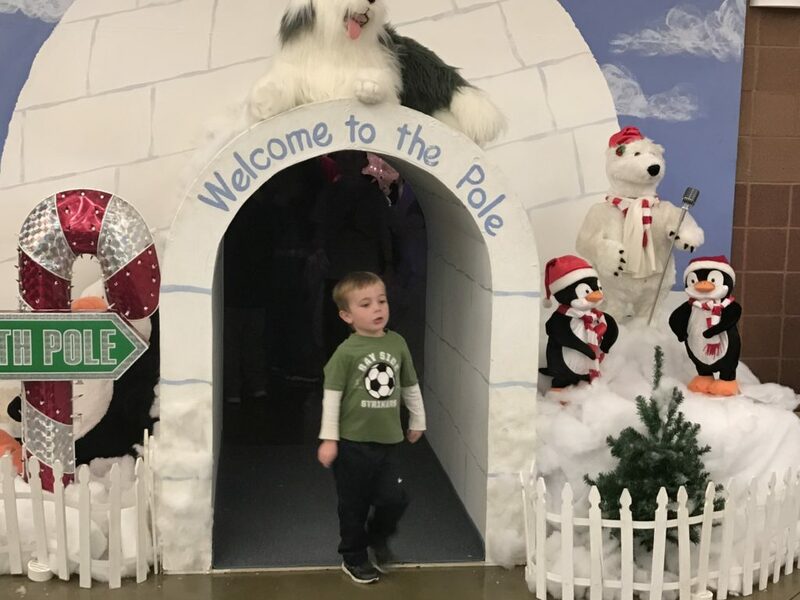 And it’s obvious too as his eyes twinkle when the children come up to say hello just like in storybooks leaving the adults to wonder – is he real? 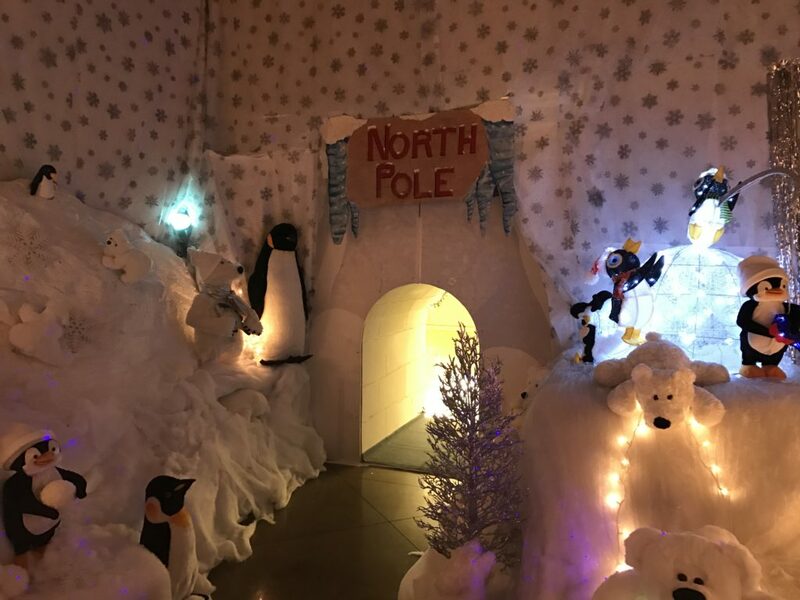 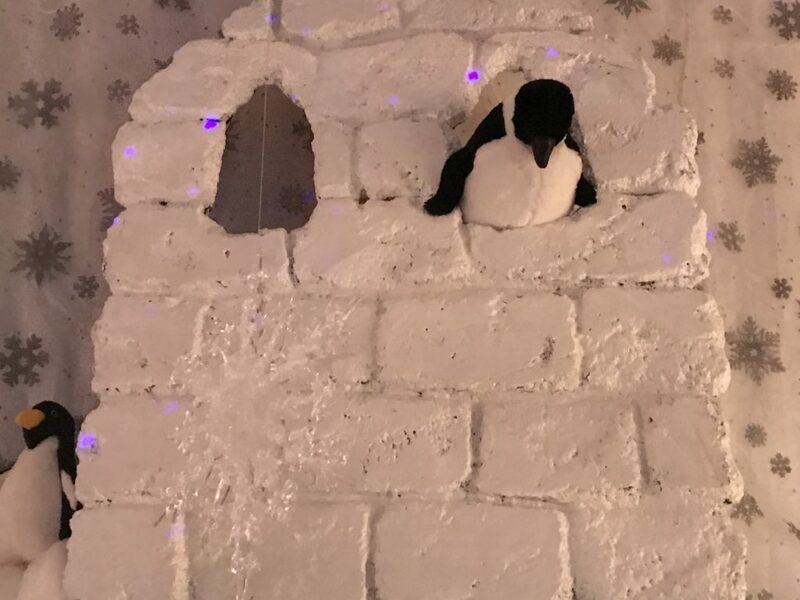 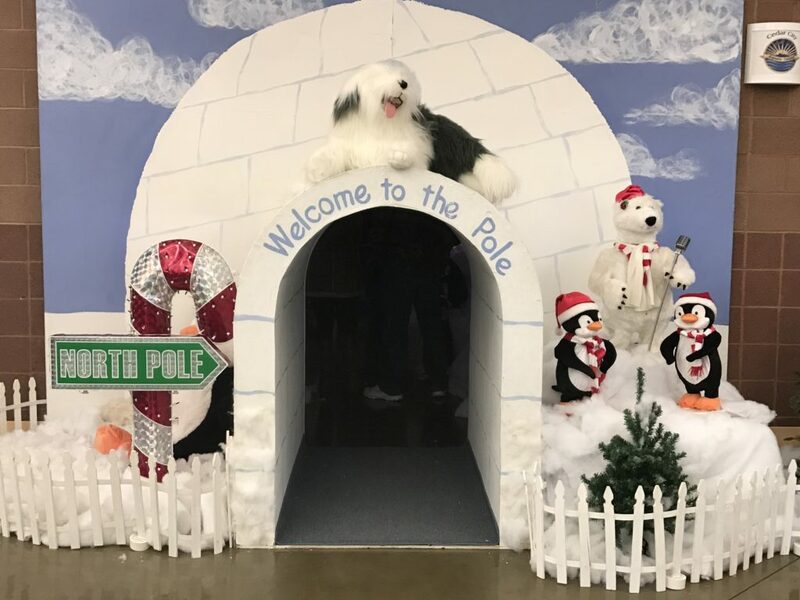 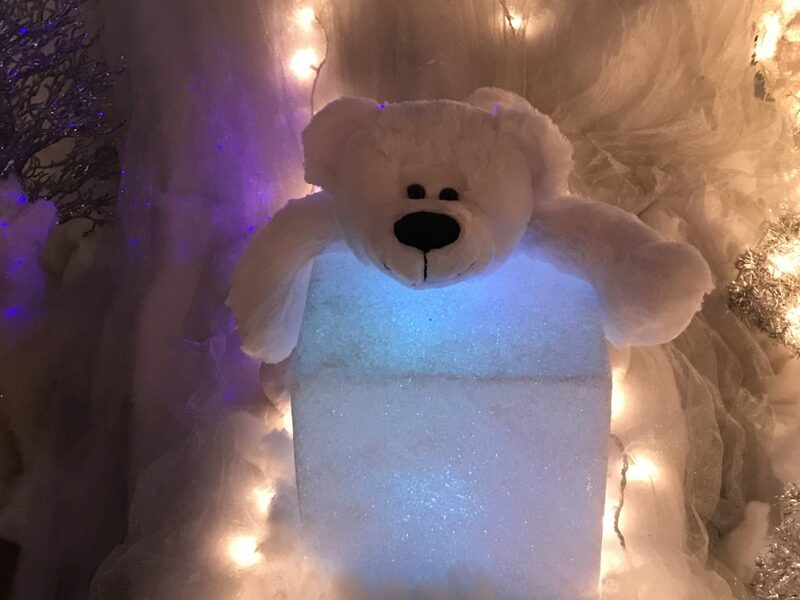 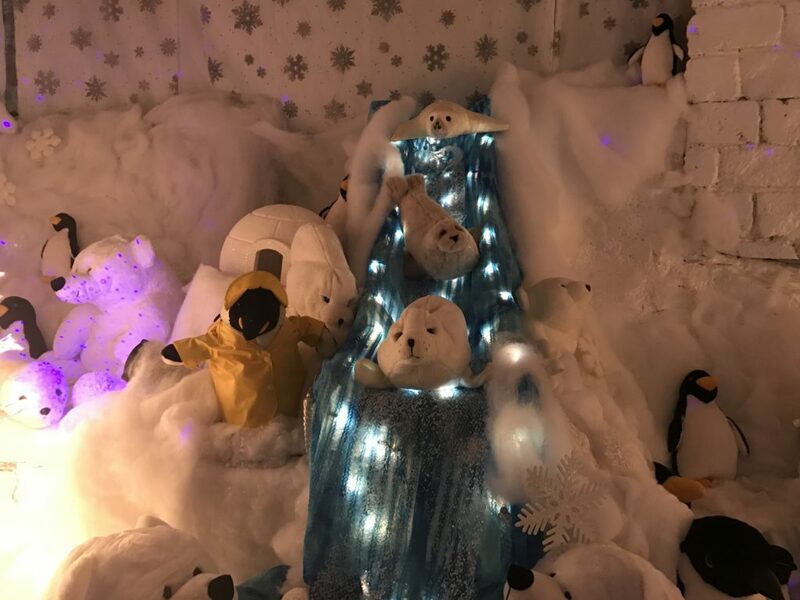 The group turned the inside lobby area of the Aquatic Center into a winter wonderland complete with an igloo that houses the jolly old elf himself. 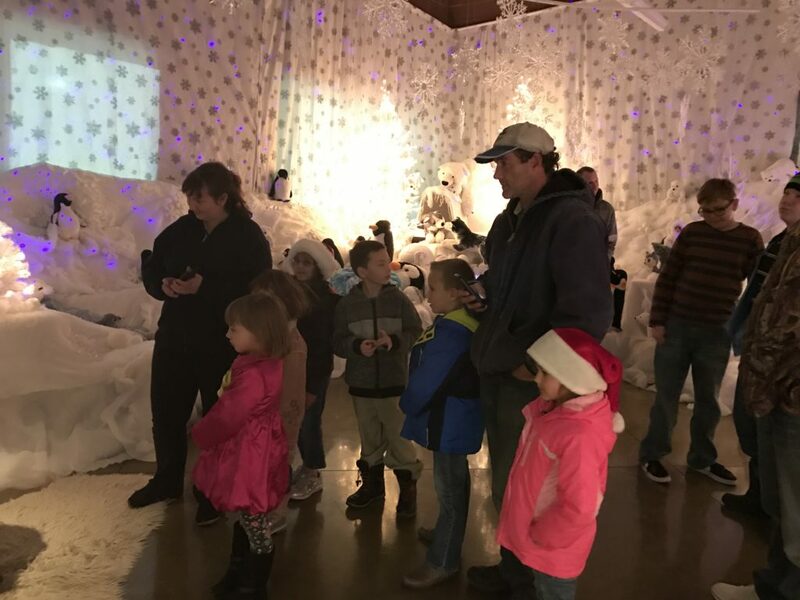 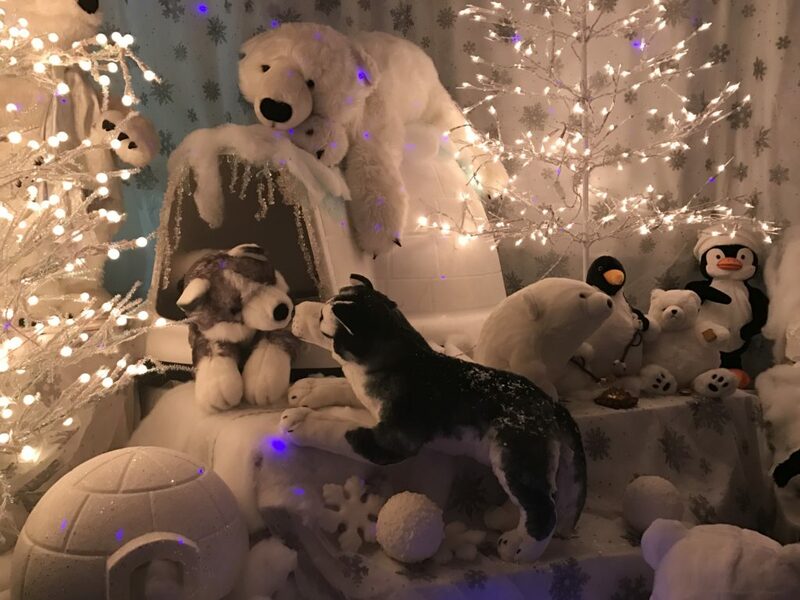 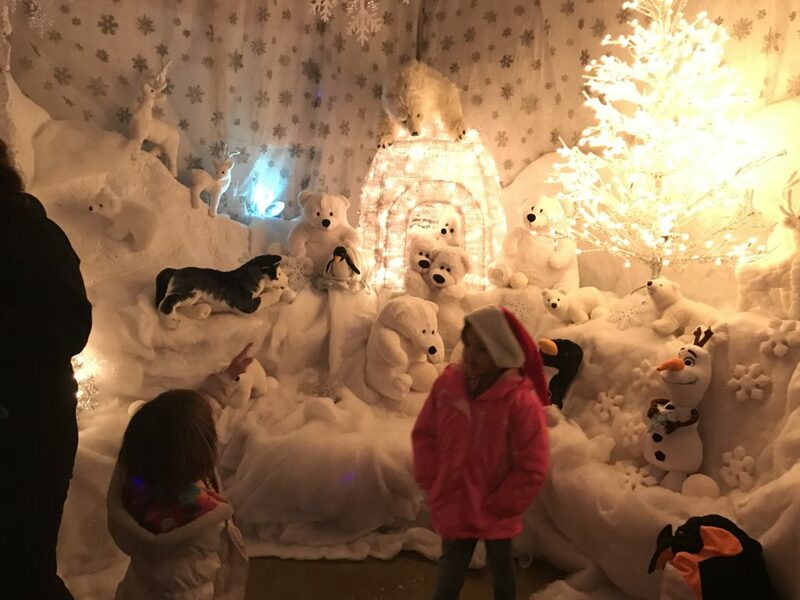 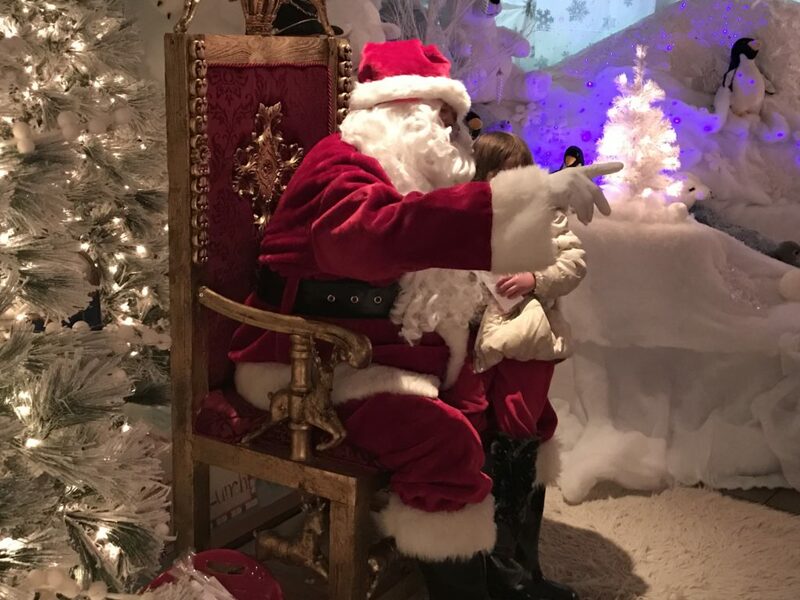 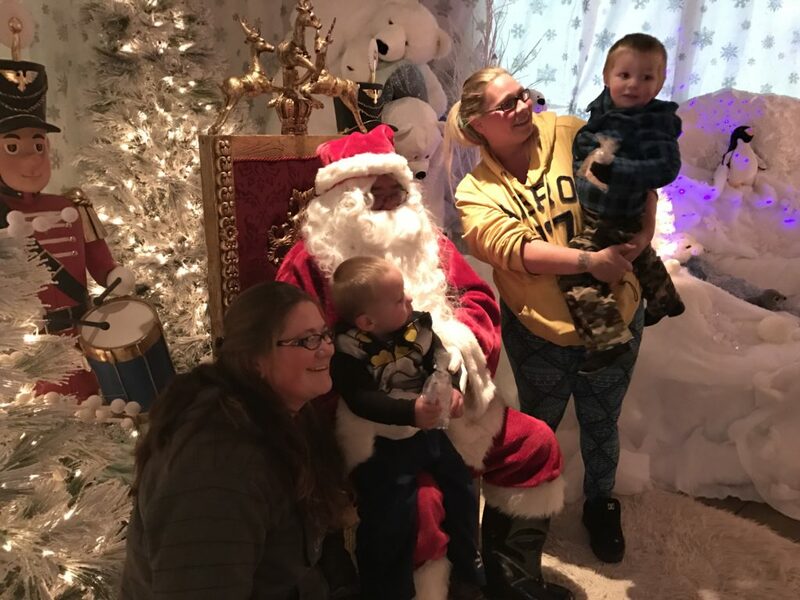 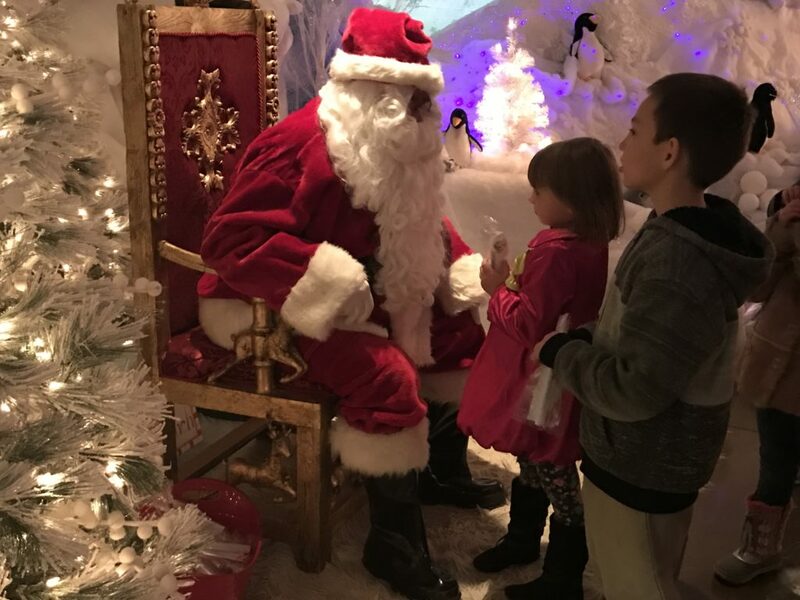 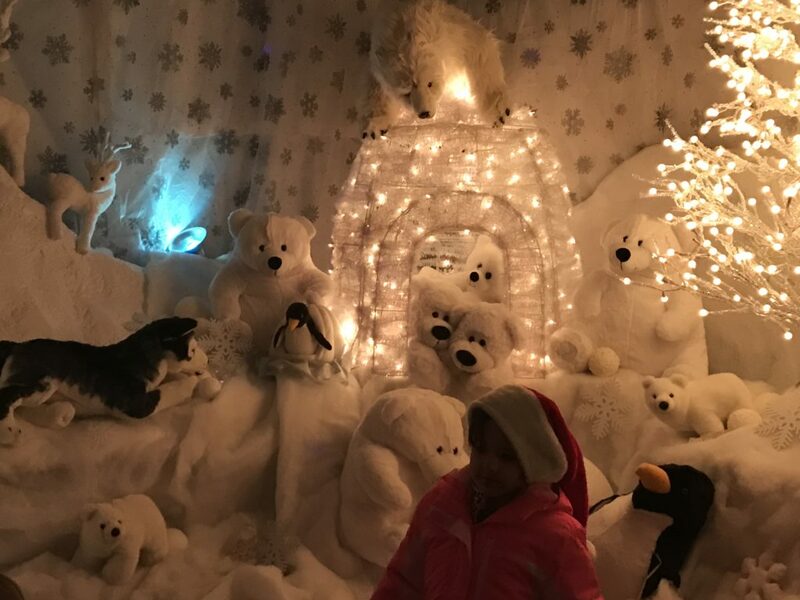 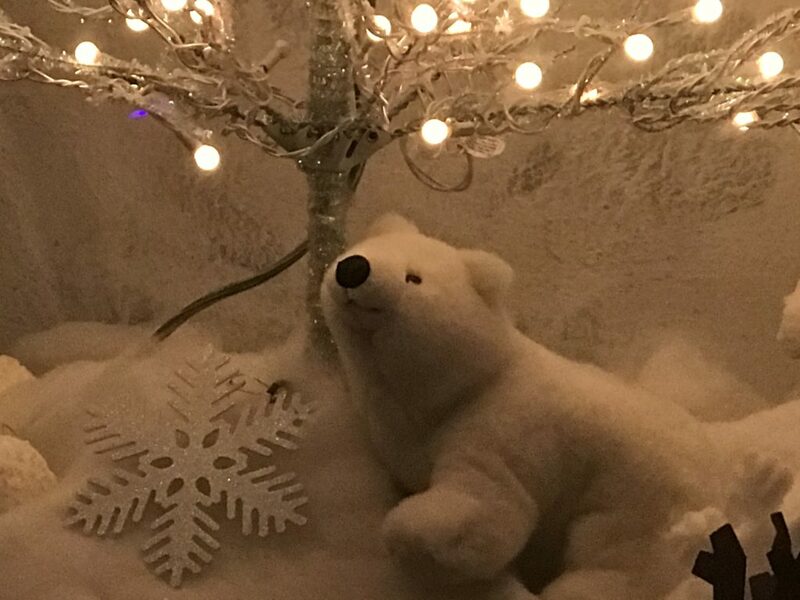 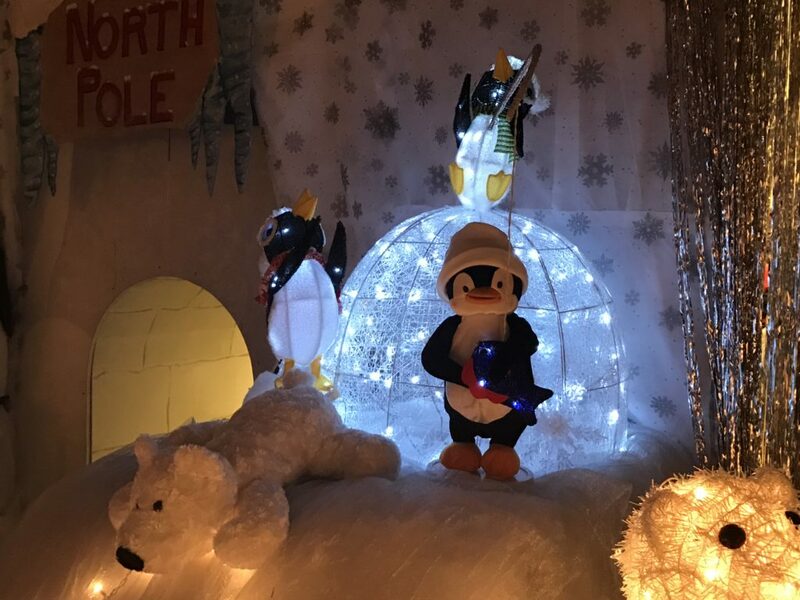 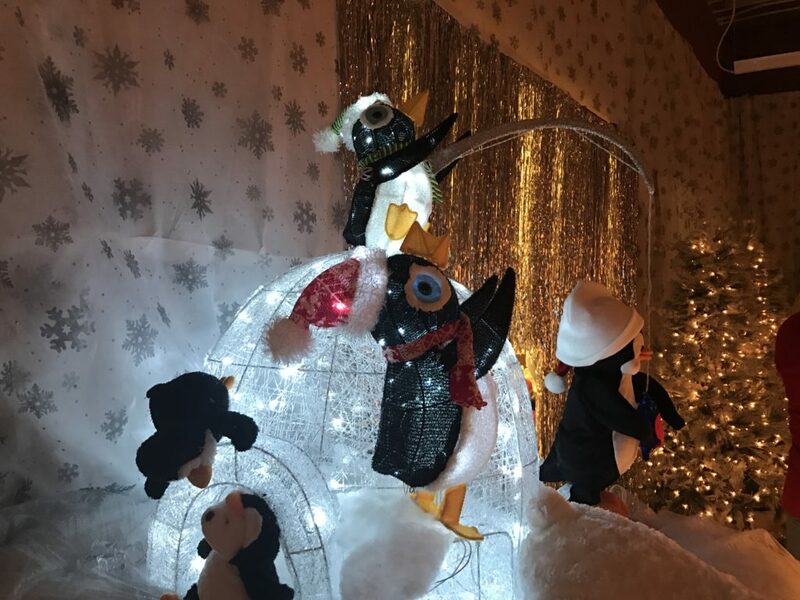 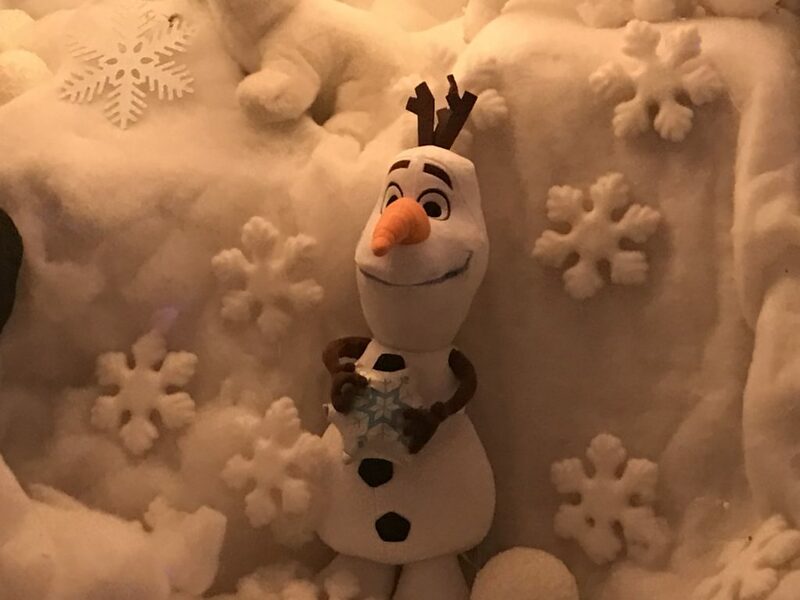 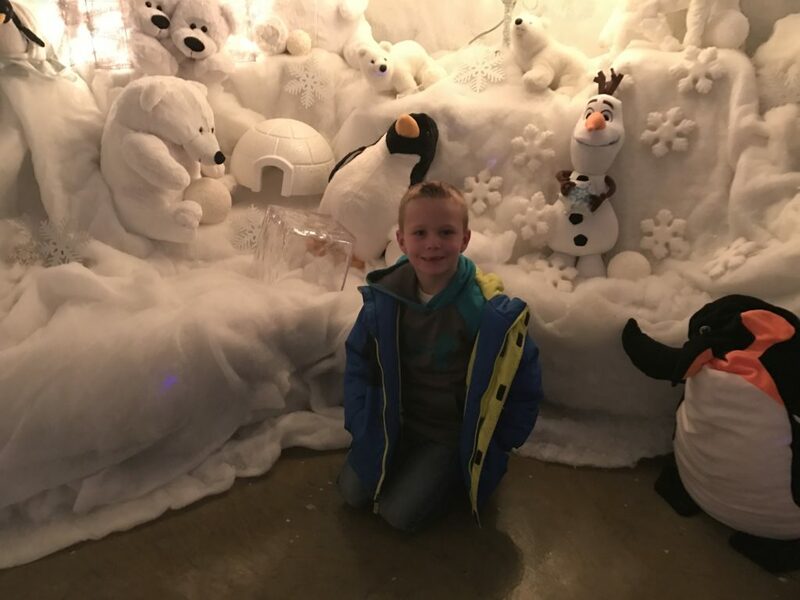 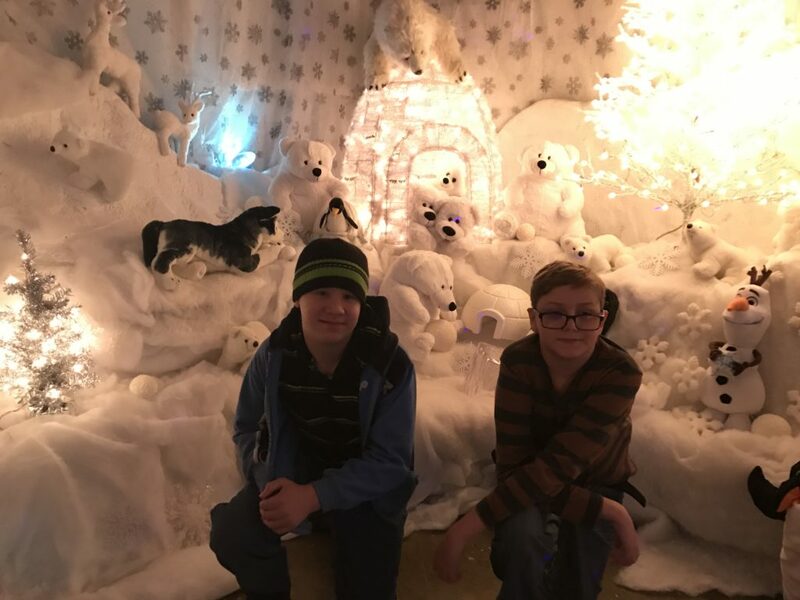 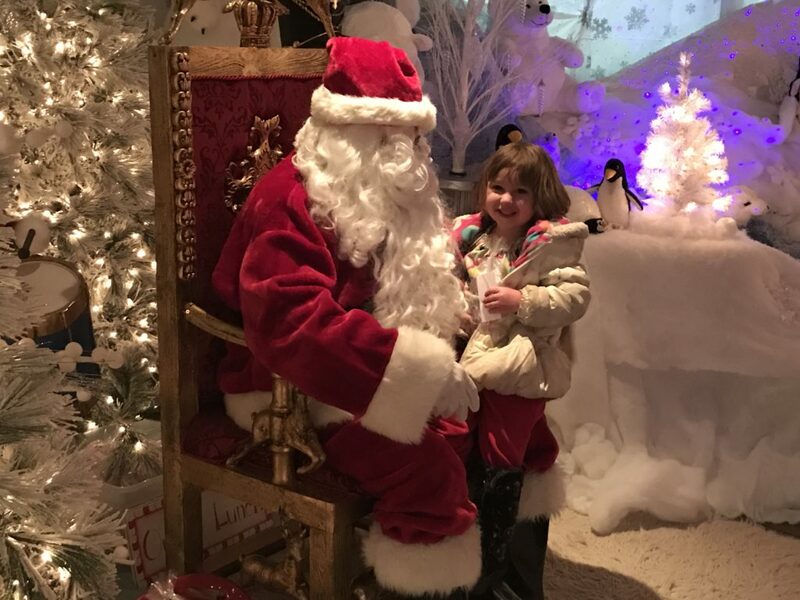 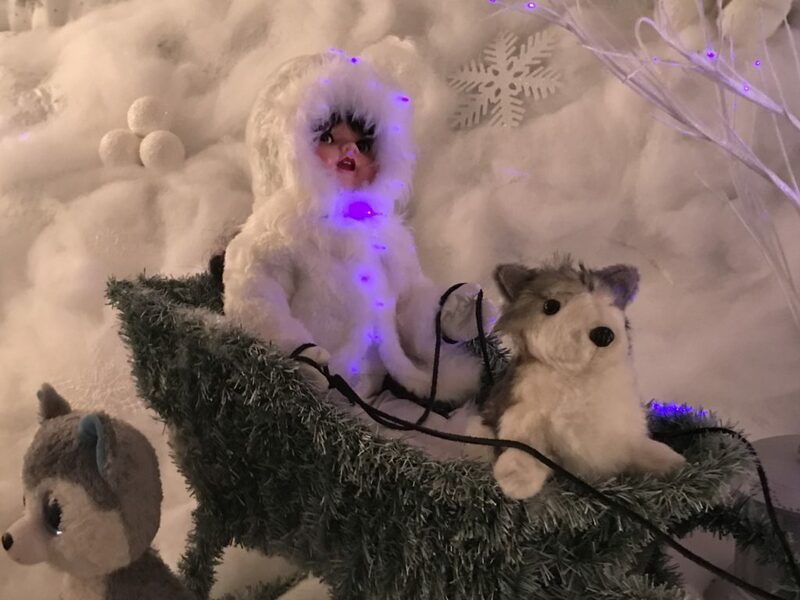 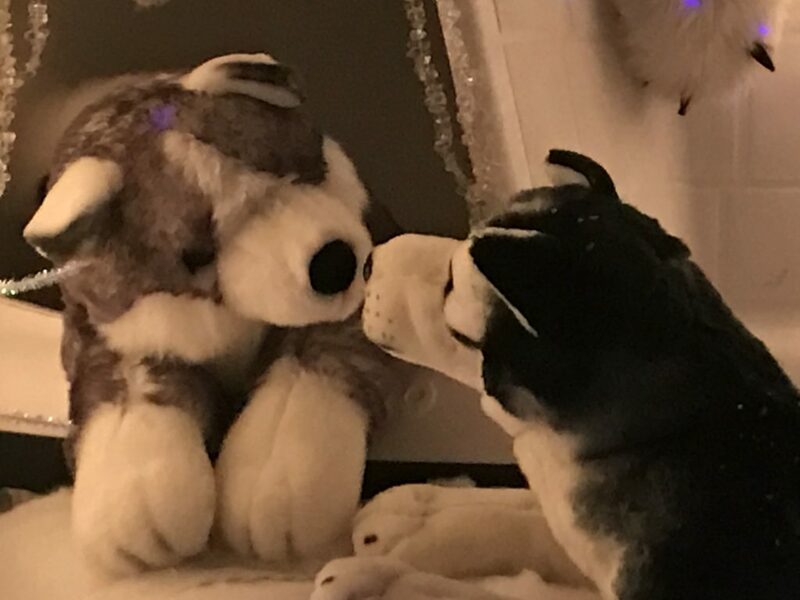 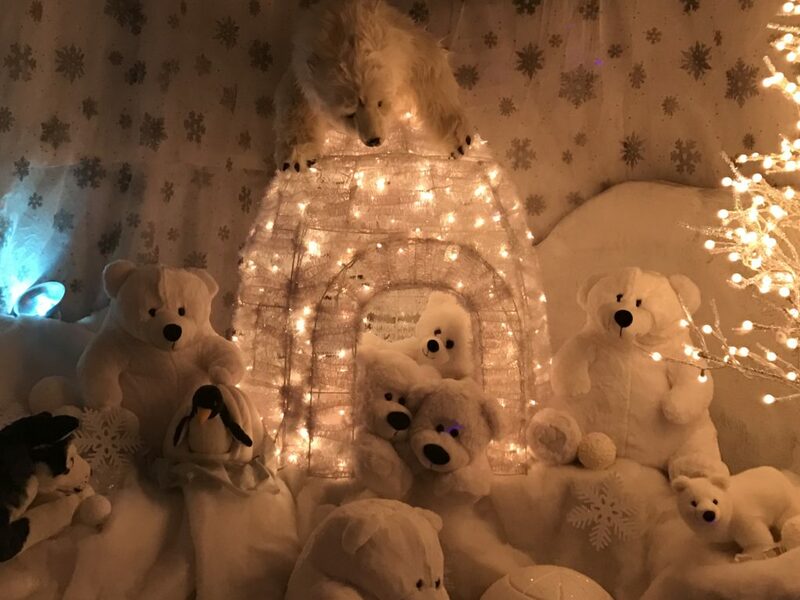 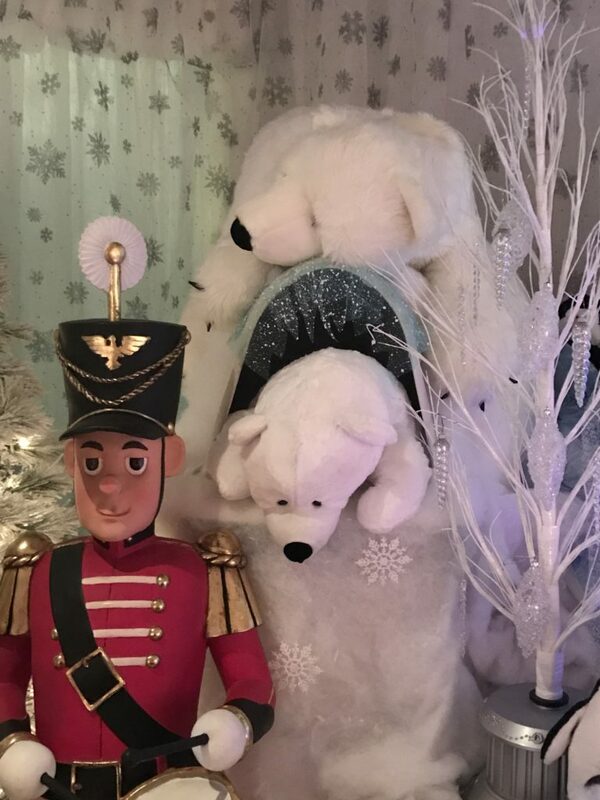 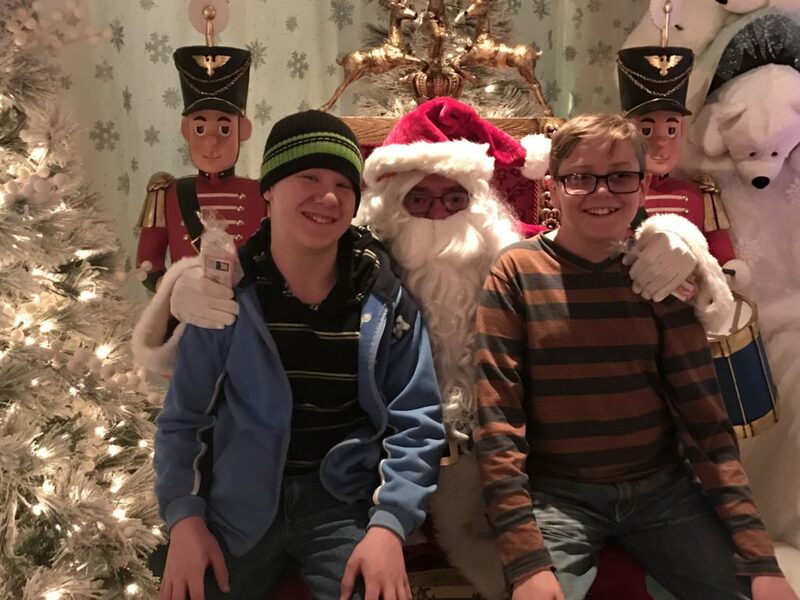 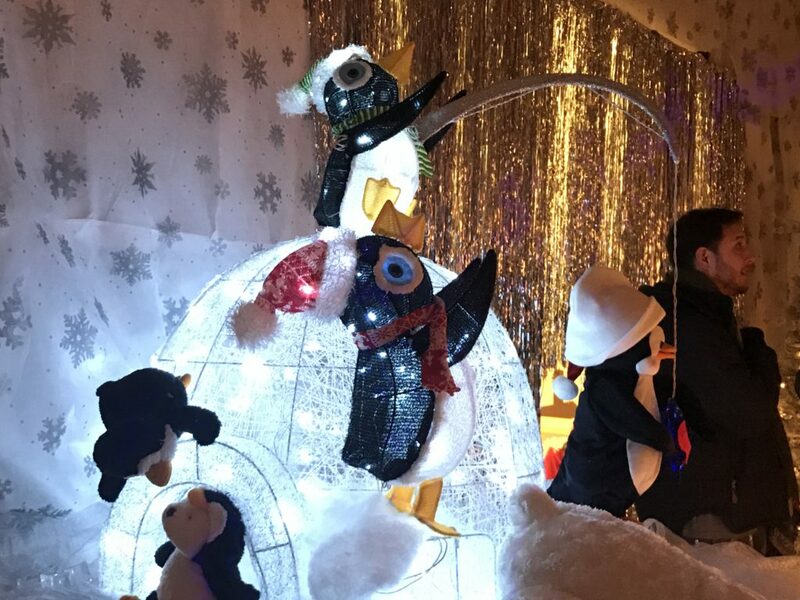 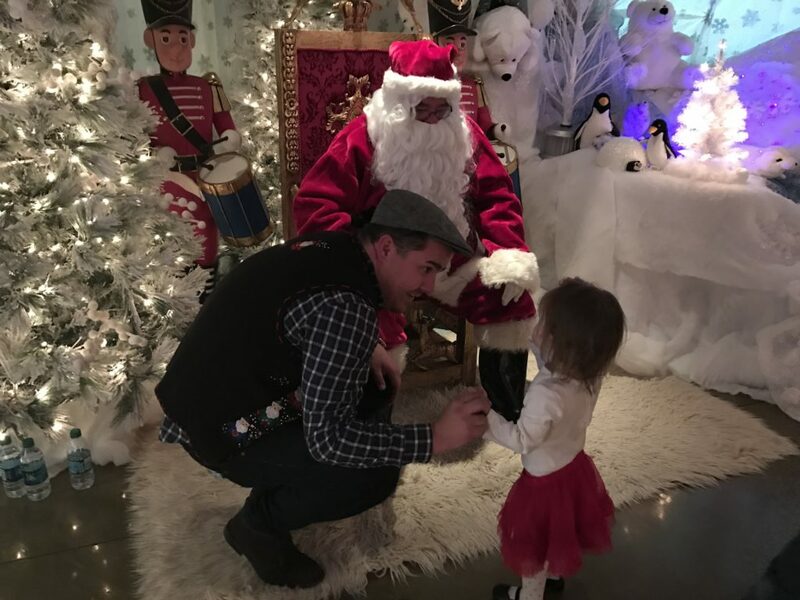 While the event was a lot of work, Linda Wilson said it was well worth it to see the magic of Christmas bring smiles to the children and their parents as they enjoyed the winter display and a visit with Old Saint Nick. 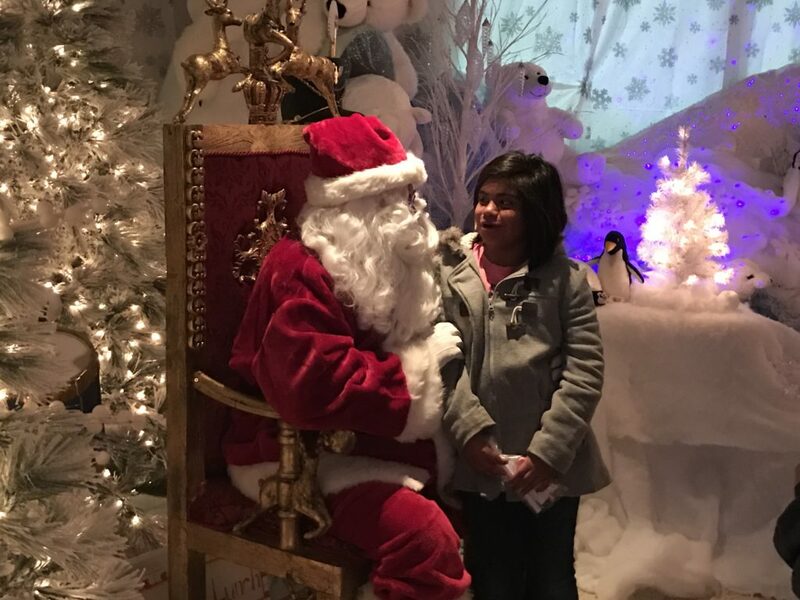 Saturday Dec. 3 from 10 a.m.-noon and again from 4-6 p.m.
Monday Dec. 5 from 6-8 p.m.
Friday Dec. 9 from 6-8 p.m.
Saturday Dec. 10 10 a.m.-noon and again from 4-6 p.m.
Monday Dec. 12 from 6-8 p.m.
Children receive a one-day pass to the Aquatic Center. 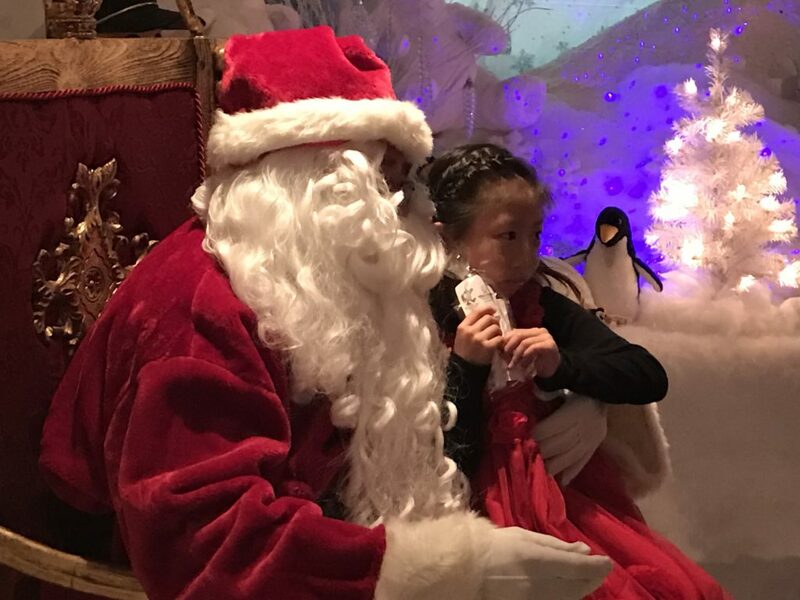 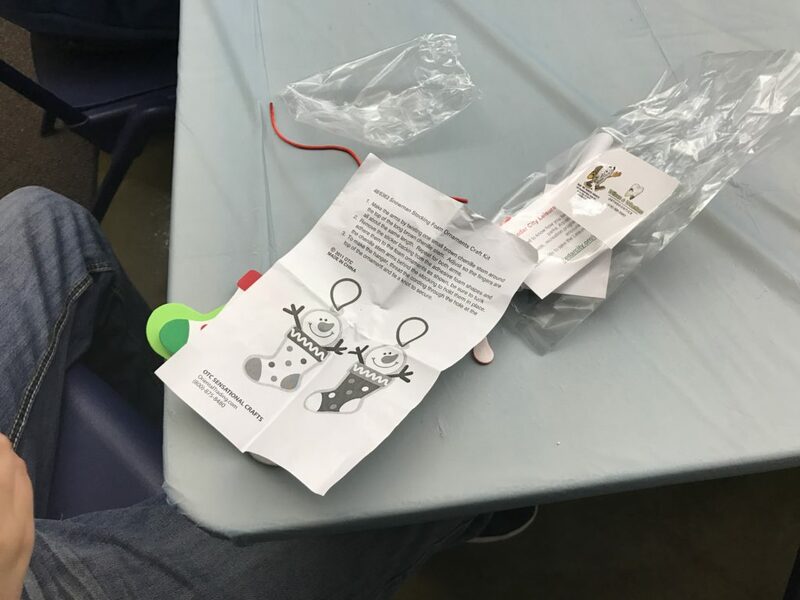 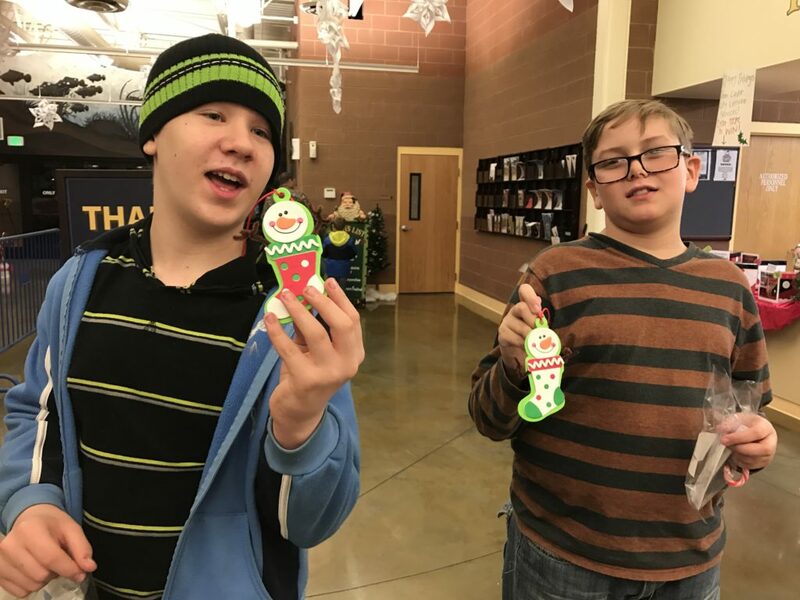 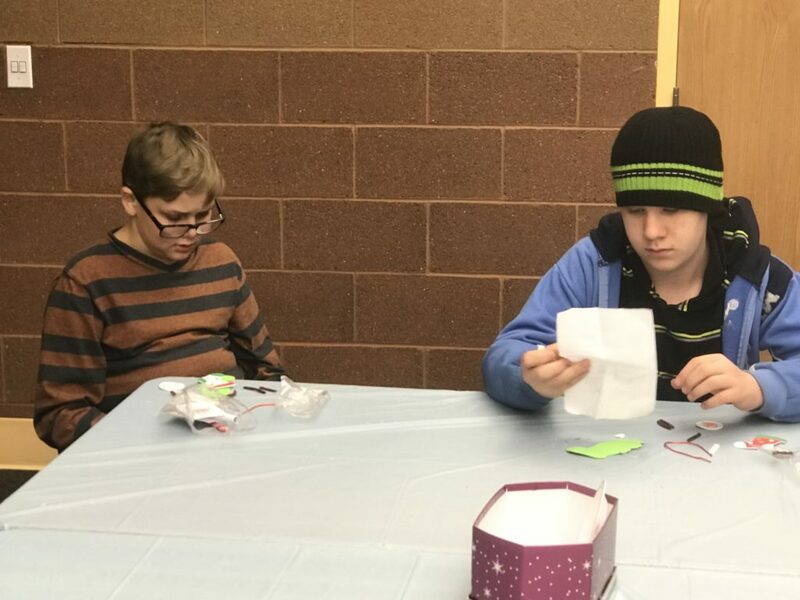 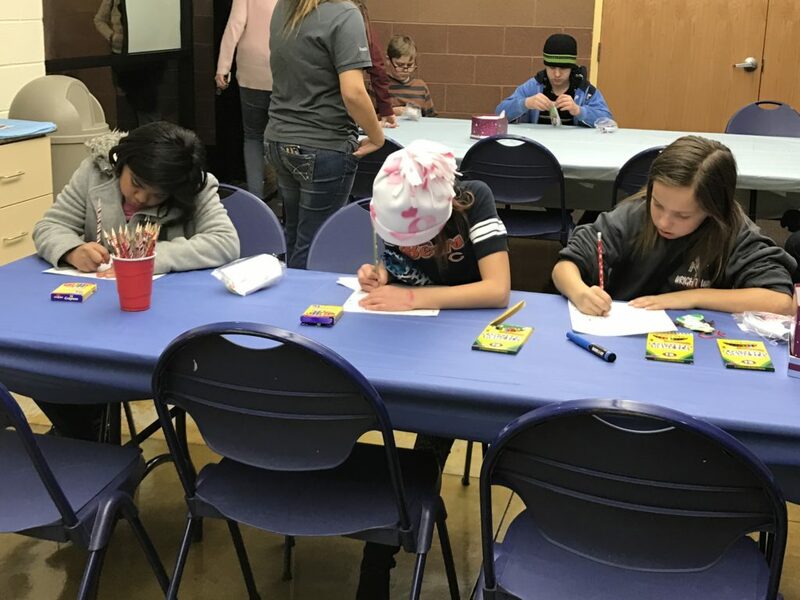 In addition to the visit with Santa – who gives each child a candy cane and a free swim pass they can use anytime – children can make an ornament and write their Christmas wish list in a letter to the North Pole. 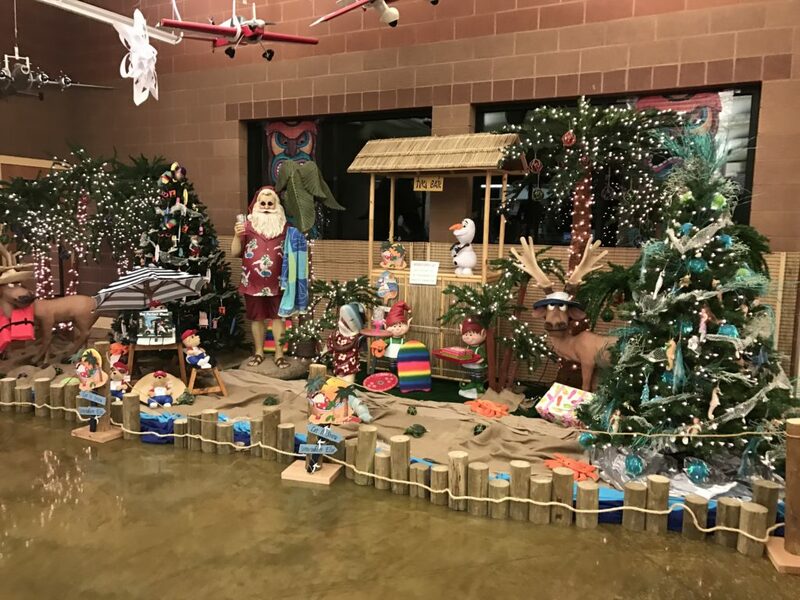 Cedar City Aquatic Center is located at 2090 W. Royal Hunte Drive. 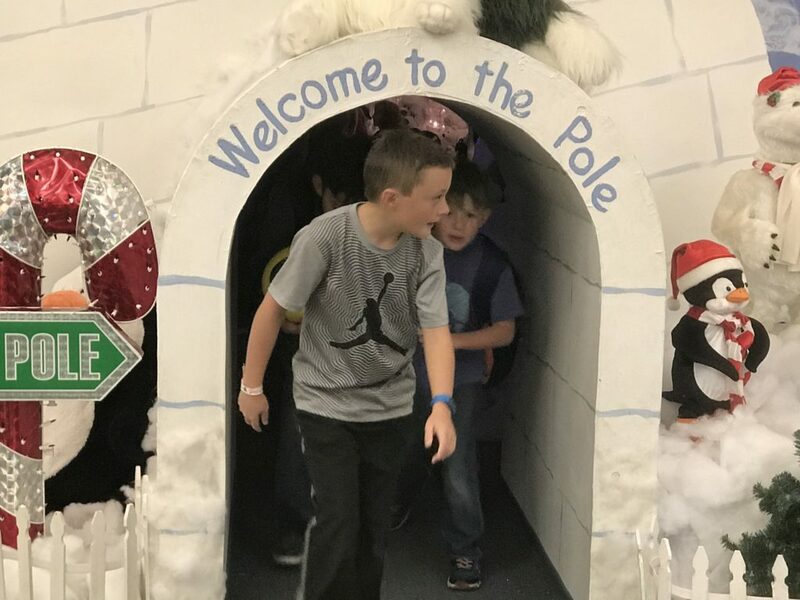 This was absolutely amazing and such a great event for the community to have a place like this to let the children have a grand time. 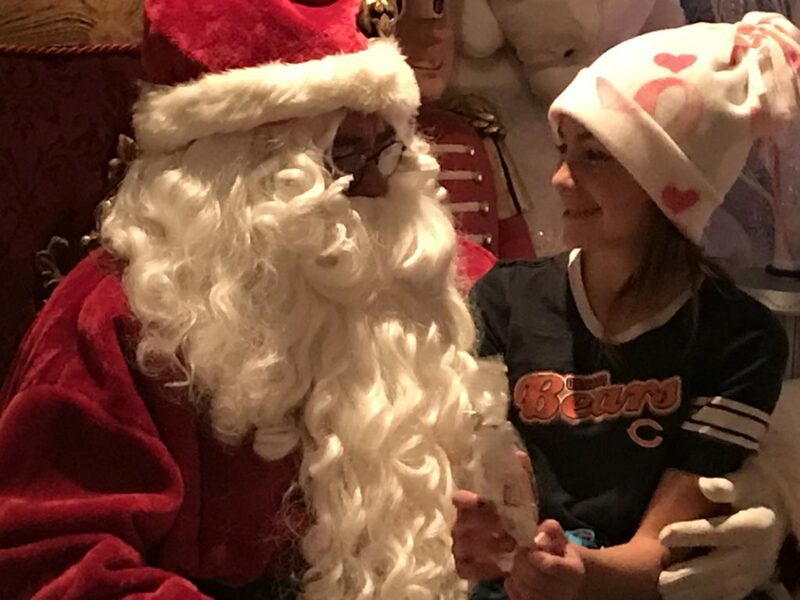 and I would like to thank all those involved in making this possible. 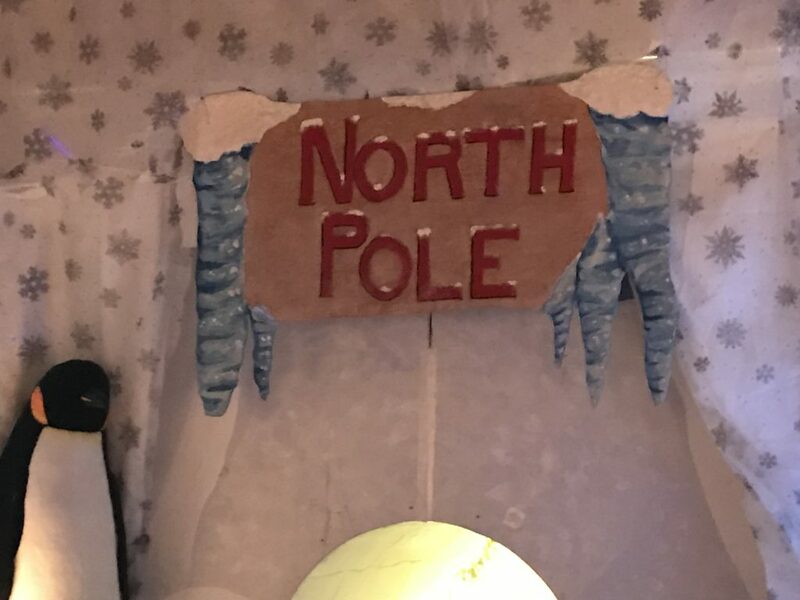 Praise the Lord !